When I worked at the Chattanooga Free Press in the 1980s and 1990s, I would sometimes enjoy walking downtown after the day’s deadline had passed around noon. Many times during those jaunts I would end up going into the Read House lobby and sitting for a few moments, and the experience was quite enjoyable, even if it was a little repetitive. Part of the pleasure was in the physical and emotional rejuvenation after having arrived at the newspaper early and having already put in an Army-like workload of six-plus hours – and with no other pressing work the rest of the day. But some of it was simply a chance to enjoy visually an old and ornate building that was extremely well designed from an architectural and aesthetic standpoint. And the Read House certainly seemed to fit that description. 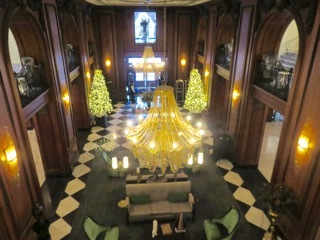 I take hotel lobbies seriously, and this one met my standards in roaring fashion. Although a Read House at that site dates to 1872, the part I love is the brick structure fronting M.L. 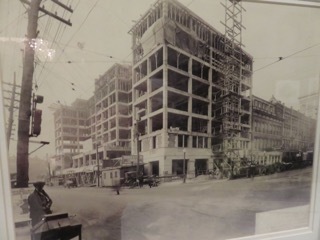 King Boulevard and which dates to “only” 1926 when it opened as the new main section. It was designed by the noted Chicago architecture firm of Holabird and Roche, whose other works include the Windy City’s Palmer House with its rectangular-shaped lobby similar to that of the Read House. Besides the lobby, I always liked how the mezzanine level kind of uniquely offered a bird’s eye view of the lobby below through a series of arches on the various sides, like balcony seats to a good show. 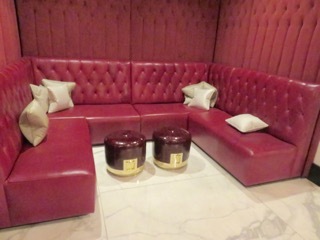 And under these arches were two chairs to allow the most intimate of conversations, despite being in a public setting. And, of course, there was the ornate Silver Ballroom, where I attended mostly work-related functions – such as Rotary Club of Chattanooga speakers. Inside there, I was usually most focused on the task at hand and what a speaker said about a particular topic than letting my mind aimlessly enjoy the Versailles-like ornate detail and pretend I was on a 15-minute vacation. 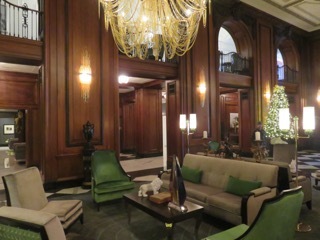 With the hotel having completed much of its $27 million renovation in October – and the new sight of doormen and valet parking workers standing by the front door – I finally stopped by over the weekend to say hello to my old friend. I simply wanted to take a quick walk through the lobby and second floor public areas, take a few pictures, and mentally record my first impressions on what I saw visually. And I must say that most of it was quite positive. 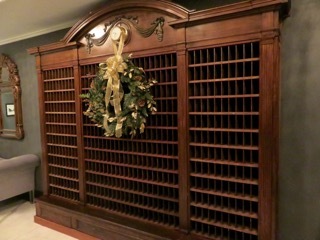 What impressed me the most was not just that the older parts seemed to have been taken as well care of as a beloved family heirloom item. But the new parts and features also caught my mind in maybe an even more positive – or at least more surprising -- way. Here, the old and new seem to co-exist quite well. If they don’t totally complement each other, they at least seem to share equal billing for the attention – and affection – of the hotel visitors. It is almost as if the life of the party has found two or three equally fun friends. 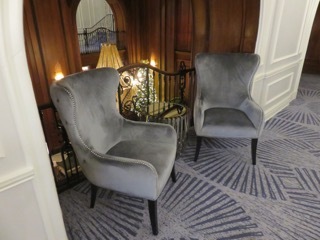 For example, who would have thought that a couple of tall and funky-looking styles of chairs would be just as interesting to look at as nice walnut paneling, mezzanine arches or wooden or plaster ornamentation? 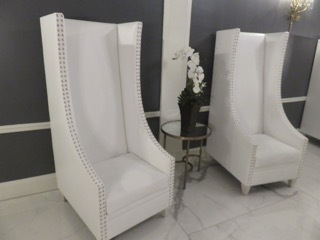 The lobby has some tall white chairs and some green ones that are a little avant garde, but they seem to look as much at home in the historic Read House as a Chippendale wing chair might. Hats off to the interior designers or chair designers and their creativity. The green one was shaped almost like an old horse carriage with a nice, umbrella-like canopy. Needless to say, it was quite unusual, but still appealing. 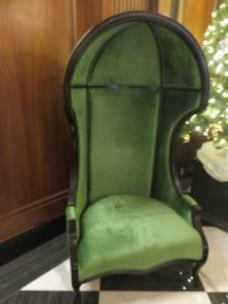 The other, more traditional chairs are nice, too, in their unique green and white pattern in the lobby. The ones on the second floor mezzanine are also nice. 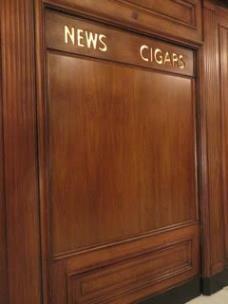 If one associates history with the Read House, the hotel has amped this aspect up a little, too. Over in one area are some pictures and other memorabilia of the hotel laid out in a nice way. A couple of books there would certainly make a lover of history want to examine them as closely as a historic preservationist might like to check out the Silver Ballroom. 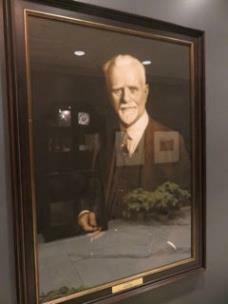 The portrait photograph of Sam Read is particularly interesting, as he has almost an austere and mysterious look to him The photo is a contrast to the visually appealing and inviting feel of the lobby and hotel. 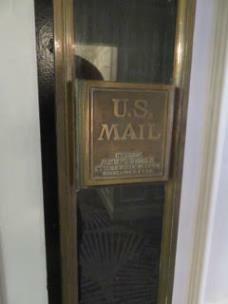 Also in the historical display area is the giant old wooden case with open key boxes. Who knows what famous people and others with interesting stories have been handed keys out of those boxes from hotel clerks. Two other newer areas in the lobby are a nice library area with a table or two, and then a small and cozy red area with stools. With its 1970s feel, the latter even looks like a place Elvis might have enjoyed being. The library is also appealing and nicely done. The only question about the library is if it is actually used for serious reading, or if people plop down at the desk simply to check their phones and do not bother to examine the books on the shelves. 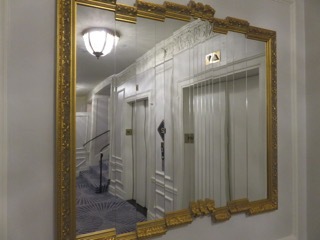 Upstairs, besides the nicely touched up ceiling work and a unique mirror reshaped vertically in several places -- perhaps to good naturedly cut down on vanity a little -- there is, of course, the Silver Ballroom. Like the lobby, the ballroom is rectangular shaped, but in contrast, it runs in the same direction as the old brick part of the hotel, not perpendicular to it. 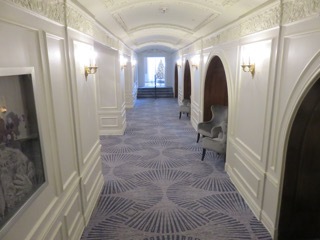 While the Silver Ballroom has often caused people to look up at the silver leafing and other detail, with the new ballroom, they can now look down at all the patterns in the carpet. 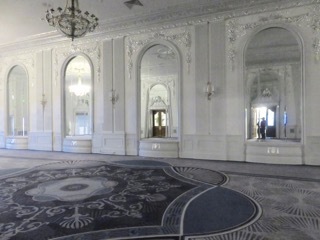 Yes, that is right, the Silver Ballroom now has interesting carpet. Also catching the eyes are the newly opened rooms and corners upstairs, and, in an interesting twist, the restroom fixtures are black, not the typical porcelain white. 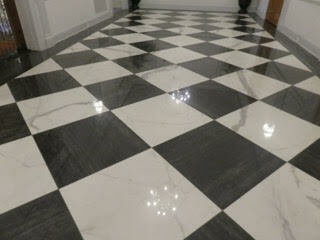 Perhaps this is designed to complement the appealing black and white checker-patterned marble flooring on the public floors. 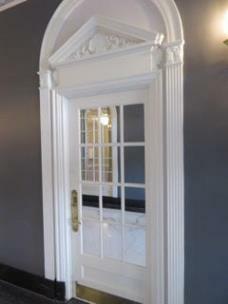 It is perfectly representative of the also contrasting – but equally appealing – old and new features now found in this old Chattanooga building that has been given a new life. 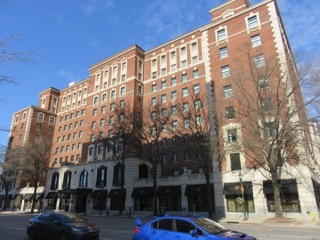 According to Read House officials, the updated design was done in a collaboration between the South Carolina-based Avocet Hospitality Group (which has owned the building since 2016), Deborah Forrest of the Dallas-based Forrest Perkins design firm, and Rick Thompson of Chattanooga-based Artech Design Group. The general contractor was T.U. Parks Construction Company.